Atomic. adj. Unable to be split or made any smaller; said of an operation that is guaranteed to either complete fully or not at all. Attention and focus are increasingly scarce commodities these days. We’ve all gotten used to functioning well even though we’re constantly distracted—by cell phones, by other conversations, by the Internet, by books, by the music in our headphones. We’re consuming more simultaneous streams of information than ever before, and we do it all the time. It’s rare to fully pay attention. Sometimes, though, we need undivided attention. We have tasks where it’s critical to give our best performance. Whether because we’re doing something really difficult (where the cognitive needs are high) or because we’re doing something where failure is not acceptable (like building a rock climbing belay or performing a surgical incision), we can’t afford distraction. Usually, it’s not that the the entire task needs our full attention—it’s that there are some small pieces where it’s desperately important not to get distracted while doing them. I call them atomic actions. Atomic actions are ones during which you permit no distractions. At all. Before you start an atomic action, you commit to avoiding distractions during the entire thing. You monitor your attention closely during the action, and if you find yourself getting distracted, you either refocus immediately or you stop the action entirely. But you never let yourself “go through the motions” while doing an atomic action. Usually these critical actions are pretty short. They’re the moments with exposure to catastrophic risk or need for maximal effort. They need your full attention, so you actively remove distractions before starting. 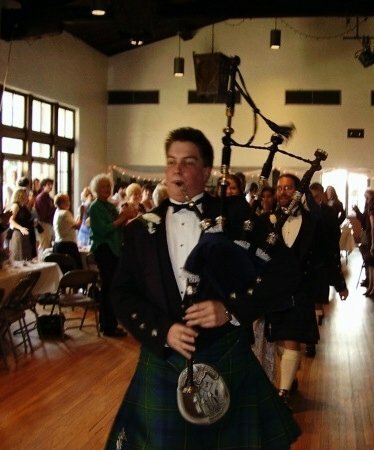 I developed the idea as a relatively new bagpiper when I kept injuring my reeds while putting my pipes together. After a while, I realized that I was getting distracted at a few critical points where full attention would have prevented the problems. So I made a few spots in my routine atomic, and it cleared up. The atomic tasks are the ones where the chanter reed is exposed. Reeds are fragile and easily damaged, so I make these tasks atomic. If I’m setting up near other people, I’ll probably be chatting with them during most of these tasks, but when I come to the atomic ones, I’ll say “Hang on a minute” or “Give me a moment”, and I’ll ignore everything but the atomic action until I finish it. I often slow down a little bit when starting an atomic action, moving deliberately and carefully. There are cases where atomic actions need to be fast, but most of them end up slowed down a bit. There are lots of them—lots of little areas where my life works better now because I’ve committed to avoiding distraction for short periods of time. The “atomic action” is a mental cue that reminds me to pay attention and make sure I’m getting it right. There’s no magic about it except that it’s a habit that I’ve built that serves me well. Thinking about tasks as atomic or non-atomic helps me to notice whether I’m comfortable with distraction for them, and that makes it easier to carve out the mental space for the ones that really need it. Taking instruments out of their cases and putting them away. It’s easy to damage the instruments with careless or hasty movements—scratching a guitar across the steel latches on the case, dumping my flute onto the floor by accident, etc.—so I don’t permit distractions when I’m getting them out or putting them away. Walking up and down stairs, especially while playing. These are dangerous, and I’ve seen people fall. Full attention matters. Scraping a reed. Tiny adjustments make a big difference, so they’re atomic. Idiot-checking before leaving. I call the last-minute sweep for forgotten items “the idiot check”, and I don’t let myself talk or get distracted while doing it. Lighting burners. I’ve seen people walk away from unlit burners that were hissing gas because they weren’t paying attention. Cutting things. This isn’t usually fully-atomic for me, because I’m fine with conversation, but if other people are moving in the kitchen near me, my knife isn’t cutting anything until they stop. Using the oven. Putting things in and taking them out is atomic for me. Backing out of my driveway. No distractions until I’m fully on the road. Parallel parking. I’m not that comfortable with it anymore (almost never need to do it), so it’s atomic because it takes a lot of mental work for me. Passing other cars. There are lots of Amish buggies, pedestrians, cyclists, and other folks using the roads in my area—if I’m passing, all my senses are needed for it. Suicide assessment. If suicide comes up in a hotline call, there are no distractions while I’m assessing it for immediate danger. Power tools. When I’m in the workshop, all power tools get atomic status when they’re powered on. Crossing steep or icy terrain. 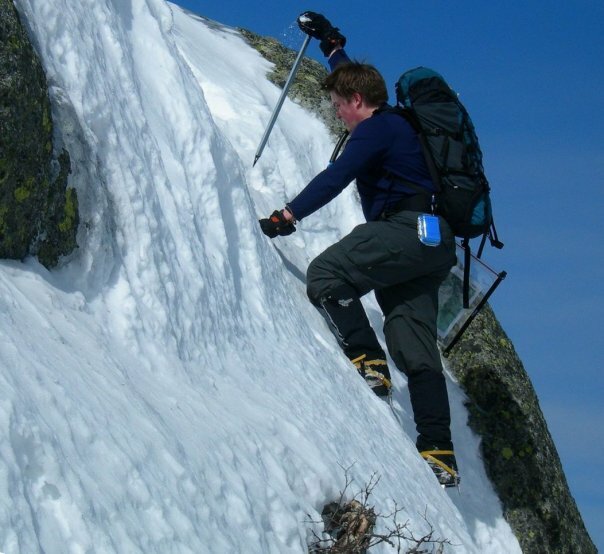 When I used to do a lot of winter climbing, there were lots of moments where a fall would have been disastrous. They got atomic attention. Building a belay station or putting someone on belay. This is rock-climbing safety stuff where doing it wrong could kill someone. Landing and taking off. I used to fly airplanes, and these are two (short) times where total focus is needed. Be short. It’s hard to pay full attention for long. Have clear beginnings and ends. You need to know when you’re finished so you can relax, since focus takes energy. Have a reason for being made atomic. What are you preventing or promoting? Be surrounded by non-atomic actions. If all your actions become atomic, “atomic” doesn’t mean anything. Constant hyperfocus is impossible. What actions do you make atomic? Please leave a comment or share this post on Facebook if you found it useful. Thanks! Really great post Hollis! I’ve been thinking and asking colleagues about a similar concept. I wonder how to know when one is alert enough to perform a particular critical task. Is there a simple alertness test that one could take to make should they are not too tired or uncoordinated to perform a task accurately? I like how you label certain tasks as atomic. I do think there are times when working with computers and IT that certain tasks should be considered atomic. For example, any time that I work through the process of depoloying software into production, I consider several aspects of that process as atomic and check things over carefully after each of those steps. Ooh, that’s an interesting question. I don’t know of any standardized alertness tests like that. Part of the issue is that the people you really need to catch are the ones who don’t realize they’re not sufficiently alert–and those people probably aren’t going to be paying attention to their alertness. The last step is, arguably, the one that has the biggest chance of making a difference–if you ask people to commit in writing, it makes most of them think a little more before jumping in. Your comment points out something I hoped would come through in the article: there’s a distinction between “atomic” and “important”. Lots of important things are non-atomic. The atomic ones tend to be mission critical, though, so it’s good to verify them after finishing.